As one who's always on the lookout for cute dresses that vary in color, style, print, length and fabric, I'm happy to inform you that I've found a site that has it all. Since dresses are a must staple during the summer for me, and one or two just isn't enough, I've got a few picks from http://www.fashionmia.com/dresses-53/ that are my favorites. Who better to share it with than you, so you can give me your opinions?! Which one do you think I should get?! As you can see Fashionmia offers endless dress options and all these are some of my most favorite. There is everything from shift dresses to cocktail dresses, from skater dresses to maxi dresses. Literally, anything your heart desires, plus, there are endless cute, but affordable dresses that you can find here. I don't know about you, but for me dresses are the easiest to style because all you need to add is your favorite accessories and you're ready to head out the door. It's simple, saves tons of time and always looks better than just average! 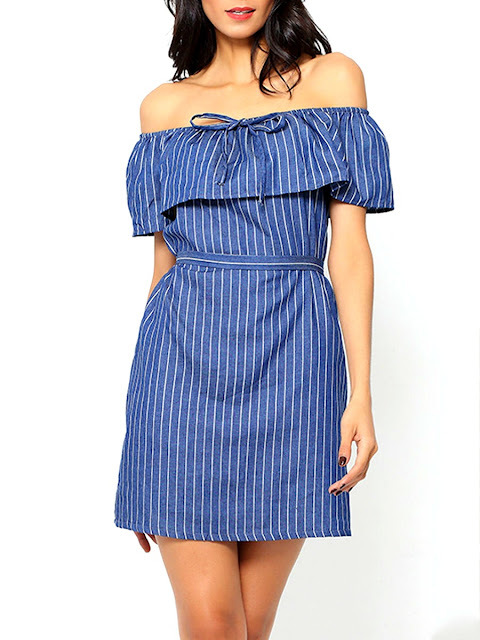 If you're interested in browsing more cute dresses, visit Fashionmia here and let me know which dress is your personal favorite?! See you soon (next week) and have a lovely rest of the day! I like the last dress shape and the 4th dress fabric haha, thanks for sharing. Fashionmia is a great website for fashion dresses :) Aside from it's stylish it's also affordable. Couldn't have said it better... I totally agree with you! All are awesome, but the first is the best. That one immediately got my attention and I knew it had to be first! Oh gosh love anything and everything off the shoulder!! Need to get me some more of those! Right... I totally get you! Yeah let's do it.. let me know when you're free! I like all this dresses. Yes that would be great... I just followed you! Thanks! I know right... I love that floral print as well! I'm glad you like it and am happy to share it with you! Amazing selection of dresses. I love second especially. Stunning pieces! I love them all! I personally love the off the shoulder stripe dress, and the floral one above that. But I think you would look amazing in the last pink dress too! Hey Radi! I'm back again! Hope you're having a great time! Some really nice things at FashionMia! I agree! Thank you for stopping by! I loved your post! Very beautiful! That's the sweetest comment, thank you! Yes, would love too. I just followed you! Click and find out more about the store's website! glamchase price of 991121 karen forte dress reviews There are many beautiful dresses.You will love it! NEUTRALS in AUGUST + NAIL ART! WHAT'S WRONG WITH BEING CONFIDENT? !